June 22, 1964 Monday. Summer School UGGG! Was so sick this morning, but forced myself to get dressed and go to Summer School. I felt sick when I got there. Then after school Sandy, Dianne and I drove to Toes. Howard was there. He took one of my Saffron Pictures and acted overly friendly for some reason. Dave was there too. But Bryan and Jack weren’t. We went to Tops and Bottoms and exchanged the bottom of my bathing suit, than went to the Flying Jib. I had a hamburger and fry’s as usual. I came home and threw it all up. Now I’m really on my way to being sick. June 26, 1964, Friday. Sick. Mrs. Launderville called, she’ got an audition for me at MGM. I am going to do a scene from “Our Town.” Mike Dinners will do the scene with me. We’re to do it July 17th. I’m to see her Monday at school. Sure hope I’m well by then. Also, the school called and said I’ll have to give up Summer School if I’m not there Monday. 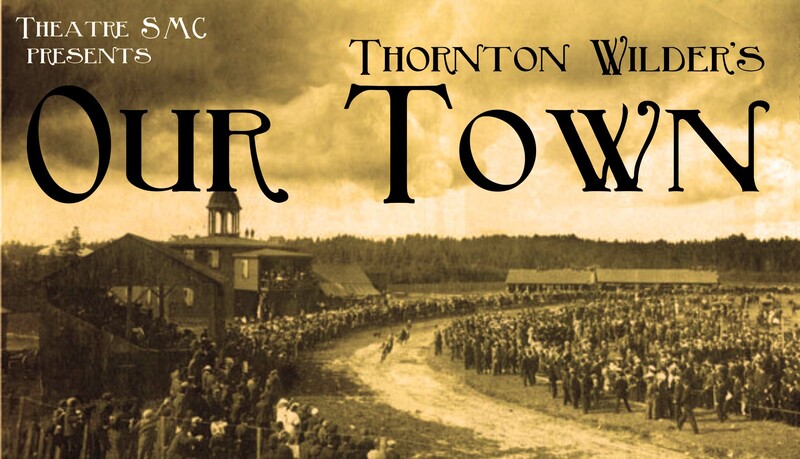 “Our Town” presents a long-gone way of American life and is generally known as a work that is meant to be presented in a theater with very little scenery. It is one of my very favorite plays, and I had done it many times in acting class. There is very few props, but the audience get’s lost in the story and never misses fancy sets. I bet I get well in record time so I don’t miss this opportunity. Sharrie Williams is the author of The Maybelline Story and a direct descendant of the Maybelline Cosmetic Family. Great niece of Maybelline founder Tom Lyle Williams. Buy a signed copy today. This entry was posted in 1960's Surf Culture, 1964 High School Diary, Chick Secrets, diary, Maybelline Girl, memoir, REALITY BLOG, Southern California 1964, teenage reality blog and tagged Audition, Beach, dating, Maybelline, Maybelline Story, MGM, Our Town, Saffrons Rule, Sharrie Williams, Southern California, Surfer's Rule, Thornton Wilder, West Side Surfers, Westchester High School. Bookmark the permalink.